As a 15-year-old girl, I did not write about career aspirations or goals. I simply wrote that I had fallen madly in love with the man of my dreams and that was who I was. How telling. I grew up the youngest in a large Catholic family who in the midst of joys and difficulties prayed together and planted deep seeds of faith in my heart. Yet, in the midst of the secular culture, I struggled to know if the living of my faith would rob me in some way of this love that I so deeply desired. It was not until college, when I studied abroad, that this desire was deepened. There I was in the midst of this beauty, mystery, culture — the Alps, the Mediterranean, historic places and shrines where thousands had been healed — and I started to realize that I did not want to merely look at it, I wanted in. I was thirsty to be a part of this that so captivated me. At the same time I encountered young religious sisters. I thought, This is the most radical thing someone can do with her life, her love! Their witness of joy, which I knew came from love, lingered in my heart like the beauty of my travels. Over time, however, my life became increasingly about myself and how I could orchestrate my own happiness. I had gone to school for nursing and came home exhausted from the hospital one night, but could not fall asleep. Restless as I was, I cried out to God, “Just in case you forgot, I want to be happy! But I’m miserable, half-dead inside.” And it was a grace: In that moment I knew I had to give God every one of my desires. So I listed them: my desires for marriage and children, to be this kind of nurse, to travel, to have this kind of car, etc. I felt his love for me, that he was choosing me. And I thought, If you love me like this, you love me. I said yes to him that night, not sure what that would look like, but knowing I was claimed. A surge of peace and joy followed. My last concern was my nursing career. I loved serving those who were sick and even dying. Talking to a priest about my uncertainty, he mentioned to me, “We’re all sick and dying.” It hit me. My heart was made to be a part of the deeper healing of our culture beyond the hospital that others may know the fullness of life. These past eight years as a sister, being his spouse, I’ve come to know that we have a captivated Creator who sees in me the beauty that I wanted to be a part of. He fills my thirst with his love, transforming me into a vessel of his life and love to all I encounter. 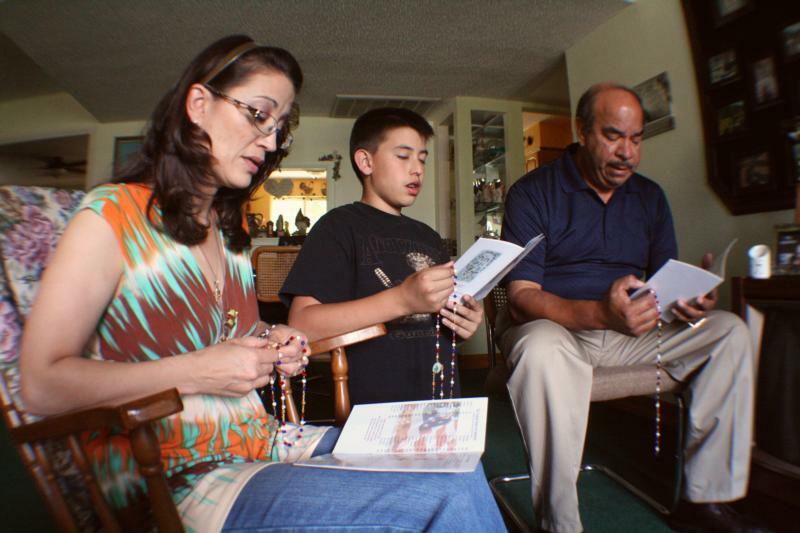 Cultivating vocations begins in the family, where Jesus is alive and prayer is conversation with him. Having the chance to meet religious men and women through attending events or volunteering is a great opportunity to experience the gift of consecrated life. Spending time with Jesus in silent prayer, adoration, daily Mass and frequent confession turns up the volume to his voice within our hearts and more clearly reveals his love and plan. I’m still a pilgrim on the way. Every day I am taken deeper and am happy to lose myself in this love, where I know I’ve been found. Sister Faustina Maria Pia is a Sister of Life.